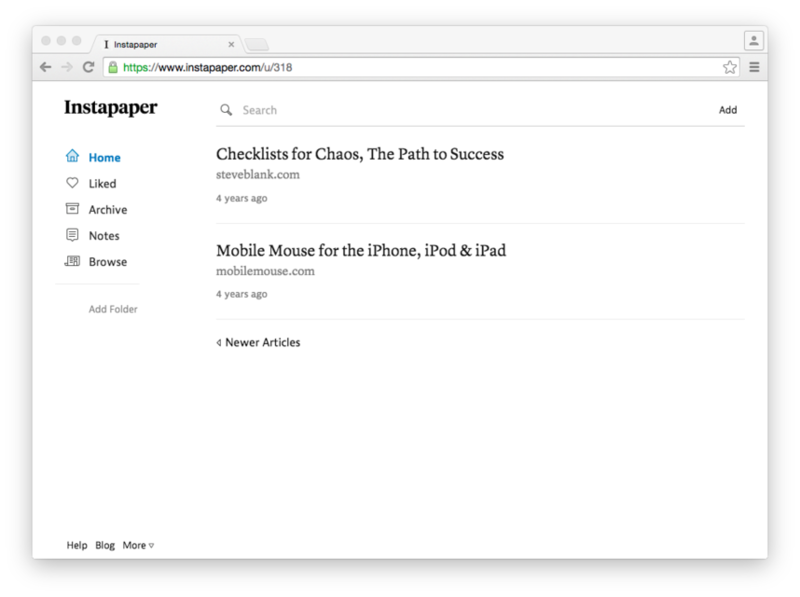 ‘Add to Instapaper’ has created a read much much later list for me. Only 12,682 posts to go. Given a two minute per post estimate, it would take me fifty-three eight hour days to read them all. Gulp!